Very few cars – let alone 4x4s – are deemed worthy of museum exhibition. 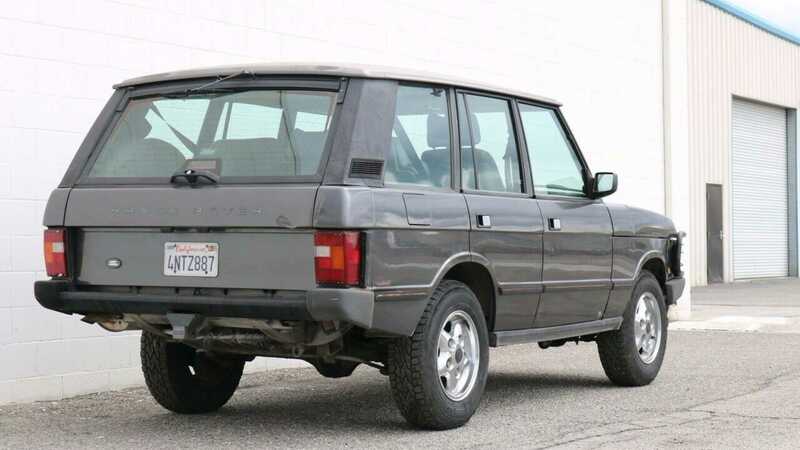 Yet, during the year of its’ initial launch, that’s exactly what befell the original Range Rover. Shacked up in Paris’ Louvre art gallery, the world fell in love with Land Rover’s all-encompassing Rangie. 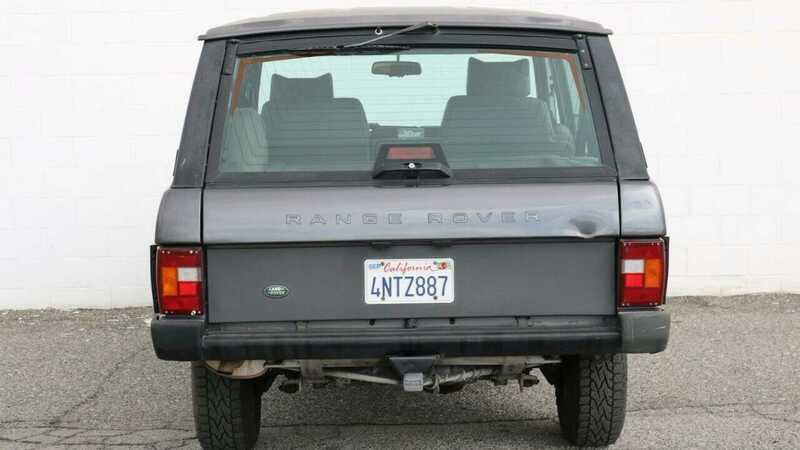 Furthermore, until its retirement in 1996, the fashionable shape remained culture’s pinnacle of all-terrain refinement. Even in barn find form, those angular lines and perfectly balanced flanks radiate an effortless cool that no other manufacturer has trumped. And lord knows, rivals have tried. Even after 26 years of hard use, a weather-beaten example boasts more presence than any modern counterpart. 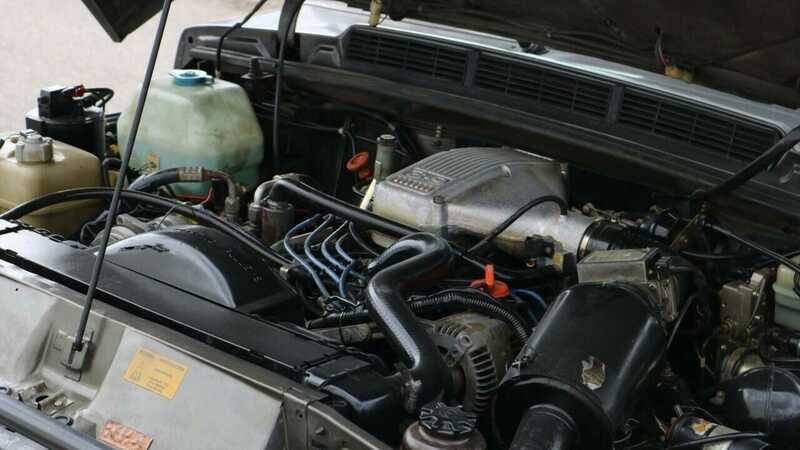 This 1993 V8 specimen proves the theory. 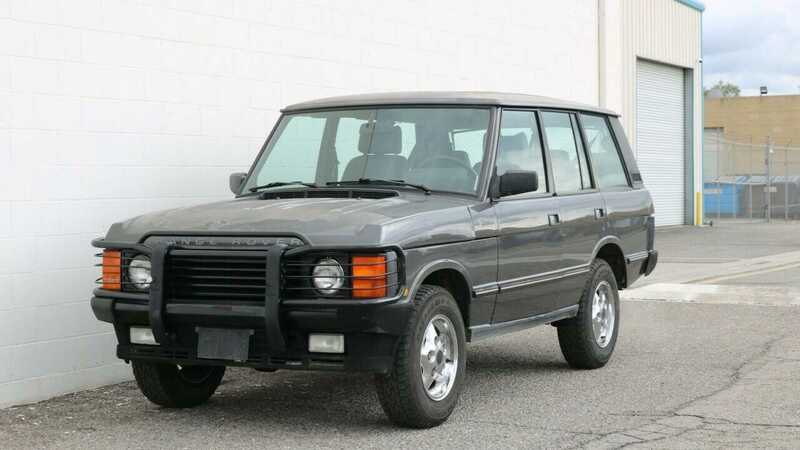 Although the SUV age is very much upon us, nothing can replace the romance of an old-school luxury off-roader. 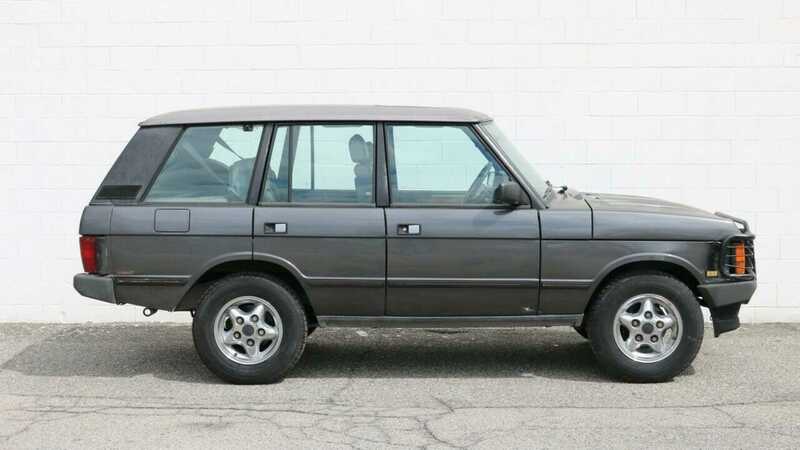 And as all things to all Englishmen, nothing offers dishevelled charm quite like a well-used Range Rover Classic. This one has only had two owners since rolling onto American soil, back when Bill Clinton took Washington’s Presidential reins. 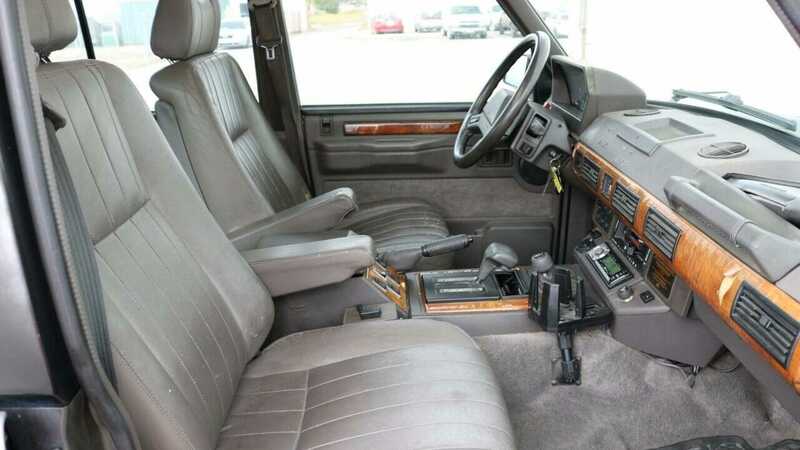 There’s 190,476 miles recorded on the odometer and all manner of extra luxuries nestled away within the cabin. 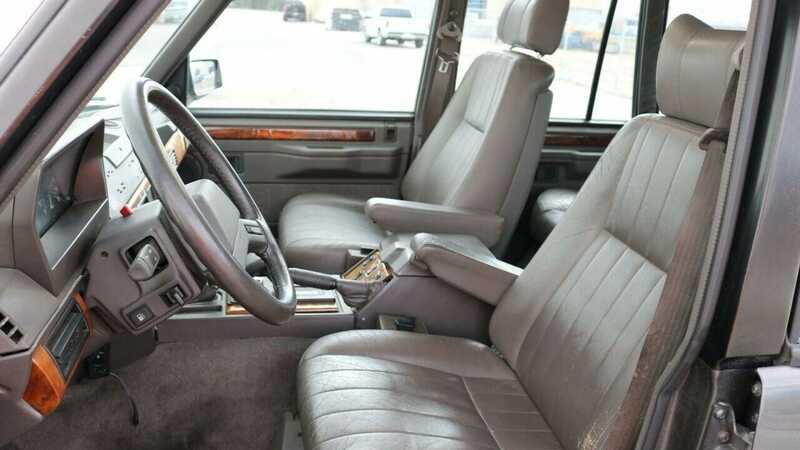 Upon placing yourself down on unblemished leather seats, you’ve got cruise control, a trip computer, power mirrors, power windows, power steering, a CD player and ice-cold Air Conditioning to hand. 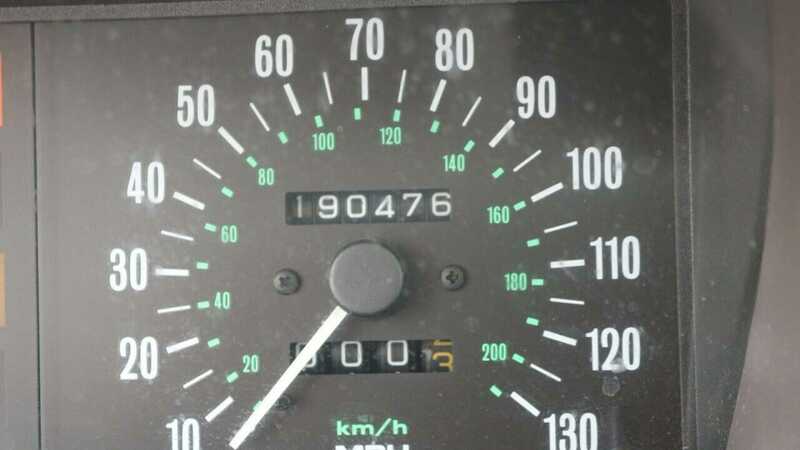 Before reaching feverishly for your chec book, it’s worth noting that the Range Rover has a few known issues – although they are far from severe. Upon firing the ignition and starting that 3.9-liter engine, the fan belt squeals akin to a 1950’s B-movie actress. The driver’s side door doesn’t work and the SUV’s paintwork is far from perfect. However, for these minor faults, the Range Rover provides a lashing of plus points. All the electronics reside in rude health. 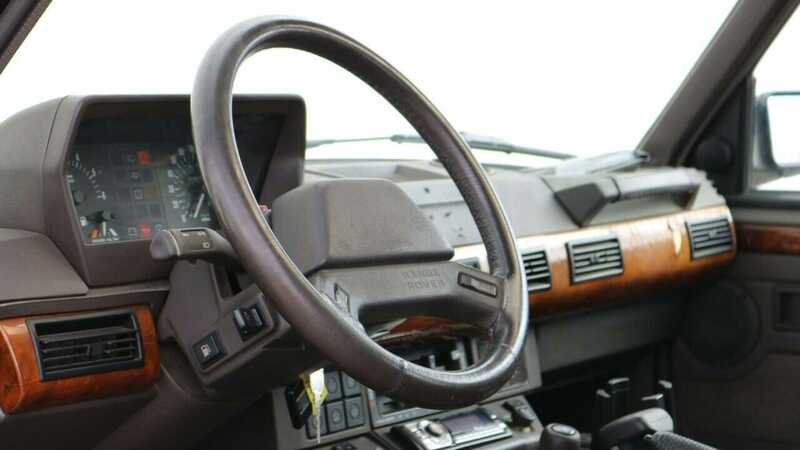 The automatic gearbox operates without protest, allowing swift engagement with the low range gearbox. There’s brand new tires fitted all round and a set of spare rims provided with the online sale. Then there’s the power. In the horsepower-clad world of decadent 4x4s, the Rangie’s claim to 182bhp may not sound like much; but there’s method in keeping that grunt restrained. Rather than kick down with the clout of a wrecking ball, the Range Rover’s V8 employs a shed load of torque for traversing the worst conditions imaginable. Across the rough stuff, the vehicle remains almost unstoppable. Topping out at 110mph also sounds rather limp-wristed when compared with monsters akin to the GMC Syclone. Except, you’ll be cocooned in serene calm through the entire rev range. Listening to David Bowie. Unruffled by the ensuing chaos erupting beyond the A-pillar. 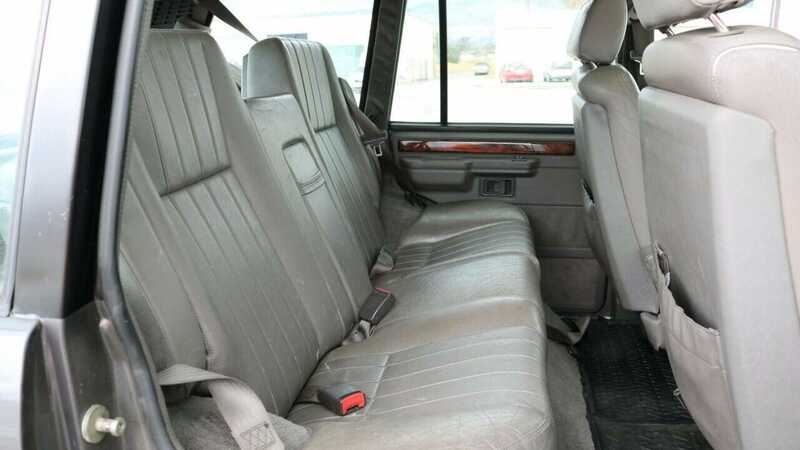 Whereas the pick-up driver would be deaf, uncomfortable and frightened beyond such a pace. Those driving a Hummer may laugh at the Rangie’s diminutive dimensions, but they won’t be making it home through the peat bog. You’ll be in good company watching the Hummer fail, too. 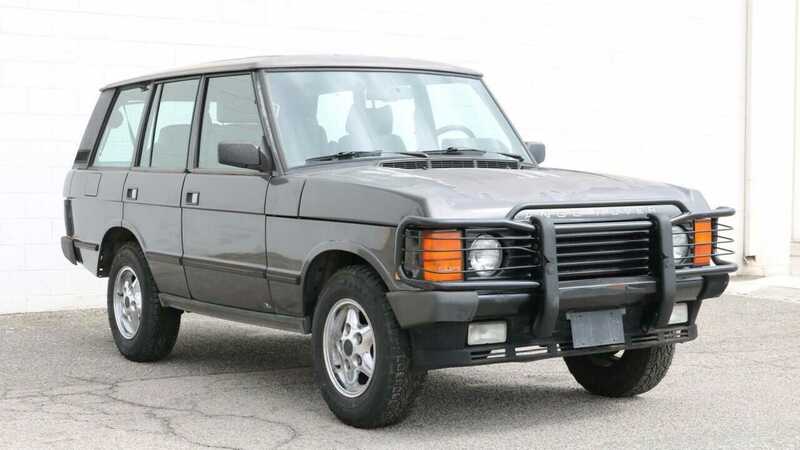 Jack Nicholson, Billy Connolly, Johnny Cash, Priscilla Presley, Jane Fonda, Michael J Fox, Cher, and the Pope have all proudly owned a Range Rover Classic. 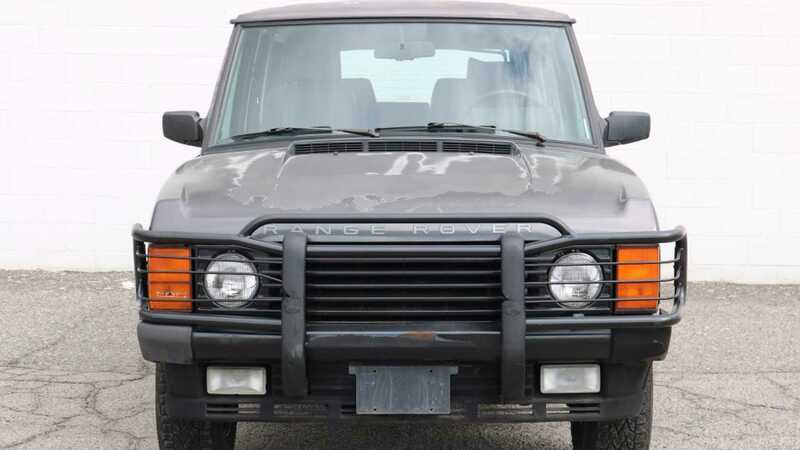 Boiled down; service the engine, touch up the paint, and fix that one non-functioning door to unlock a fully-functioning example of the greatest luxury off-roader the world has ever known. It’s a legitimate piece of automotive art, y’know.